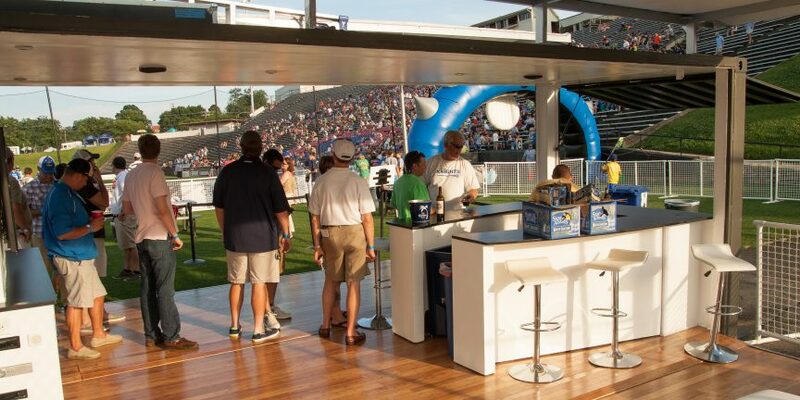 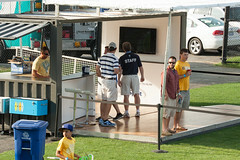 If you’re out at a Charlotte Hounds Lacrosse game this year, be sure to take a look down on the field to see one of our very own Boxman Studios 20-foot suites serving as a VIP Lounge. 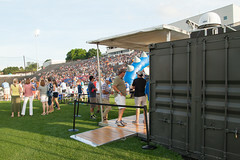 For the 2013 season, the Charlotte Hounds wanted to offer their biggest fans a true premium experience. 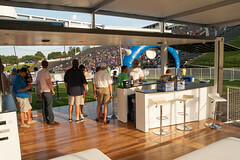 We provided a solution in the form of one of our Hospitality Suites. 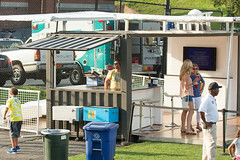 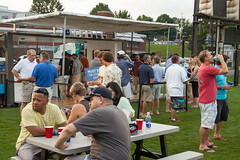 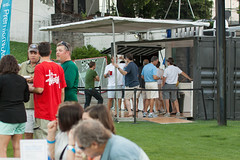 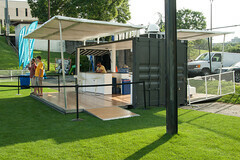 We set up our 20-foot repurposed and modified shipping container on the sidelines so that guests could have a great view of the on-field action while also enjoying a full service bar and a lounge area. 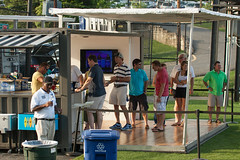 We’re proud to partner with the Charlotte Hounds for their 2013 season. 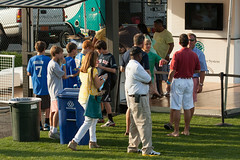 Click here to view their schedule, and maybe we’ll see you out at a game.